Commercial Properties throughout Costa Ballena are real estate listings with desirable commercial location and could be developed into tourism businesses, hotel sites, restaurants, shopping centers, or apartment and condominium projects. 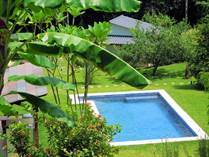 Properties in Costa Rica also offers some of the best Hotels, Boutique Resorts, Eco-Lodges, and Bed & Breakfasts for sale in the Playa Dominical-Uvita area! We also represent finished commercial centers and businesses for sale in the Southern Pacific Zone. Please take some time to evaluate our Commercial Properties and Hotels listed below and do not hesitate to contact us with any questions. 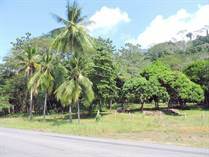 "One of the best locations for rentals in the region! " "Great Location / Incredible Ocean Views / Close to the Beach"
"Established Hotel in Prime Location near National Park Entrance"
"PRICE REDUCED to SELL Now!!!" " This Property is Ready to Start Producing rental Income"